Today is Wednesday, November 23, the 328th day of 2016, with 38 days remaining. There is one day until Thanksgiving, 28 days until the winter solstice, 31 days until Festivus, 32 days until the start of Hanukkah, 33 days until Christmas Day, 59 days until Donald Trump becomes president of the United States, and 715 days until the November, 2018 mid-term election. 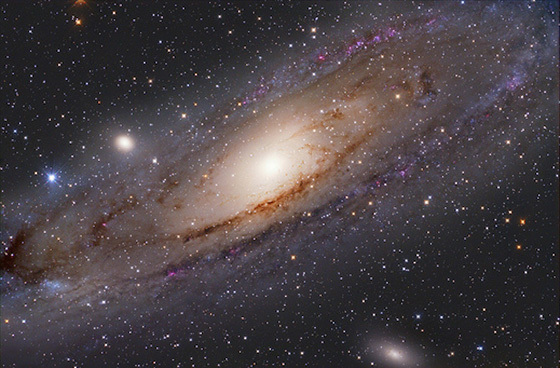 On this date in 1924, American astronomer Edwin Hubble determined that the celestial object Andromeda, previously thought to be a nebula, was actually a galaxy. Hubble also devised the most commonly used system for classifying galaxies, grouping them according to their appearance in photographic images. He arranged the different groups of galaxies in what became known as the Hubble sequence. His name is most widely recognized for the Hubble Space Telescope, which was named in his honor. Among other things, today is also Fibonacci Day, selected because November 23, when written in mm/dd format (11/23), the digits in the date form a Fibonacci sequence: 1,1,2,3. A Fibonacci sequence is a series of numbers where a number is the sum of the two numbers before it. More on Fibonacci numbers here. Florida man keeps drinking after crashing stolen vehicle. As of this writing, The KGB Quotations Database contains 42,185 entries. Check it out. Steve Landesberg, American actor, comedian, and voice actor. Fight, flight or drink: Surviving Thanksgiving when you hate how your family voted. Still rewiring... just realized that presbyopia is not conducive to reading the tiny labels on device ports. Going to use the Thanksgiving holiday to get everything in order. Have a great one, and see you on Monday.